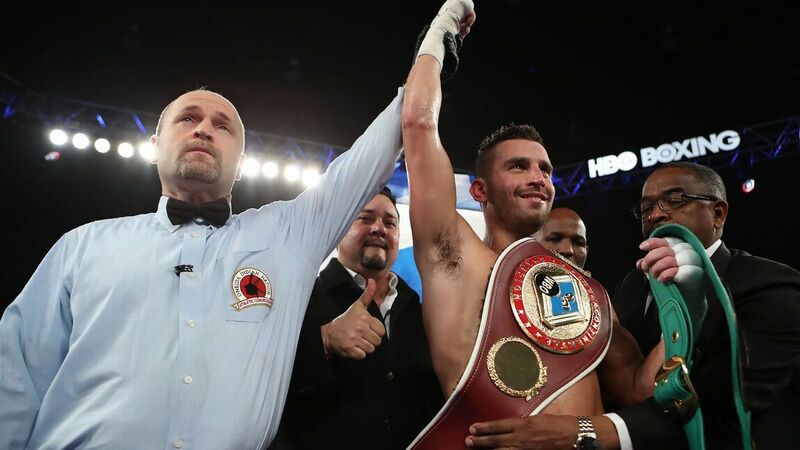 David Lemieux will try to climb his way to another world title opportunity. The former middleweight world titleholder will return to face Karim Achour in a scheduled 12-round bout on May 26 at the Videotron Centre in Quebec City, co-promoter Camille Estephan of Eye of the Tiger Management announced. The 29-year-old Lemieux (38-4, 33 KOs), of Montreal, was the mandatory challenger and had the hometown advantage when England's Billy Joe Saunders defended against him on Dec. 16 in Laval, Quebec, just outside of Montreal. Lemieux, though, showed very little in a one-sided decision loss to the dominant Saunders. Known for his devastating punching power, Lemieux landed virtually nothing of consequence in the fight while Saunders toyed with him. Lemieux's return was supposed to come on May 5 on the HBO PPV undercard of the Canelo Alvarez-Gennady Golovkin middleweight world championship rematch in Las Vegas. However, after Alvarez failed two drug tests for the banned performance-enhancing drug clenbuterol, the card was canceled, forcing a change of plans for Lemieux. "I was at the Videotron Center for the [boxing card] last Saturday, and the crowd was great. I told Camille that this is where I wanted to fight," Lemieux said at a news conference at the arena to announce the fight on Thursday. "I aim very high, so for me every fight is extremely important. On May 26, expect fireworks. I want to pass along a message: The best of me is yet to come." Lemieux won a vacant world title by decision against Hassan N'Dam in June 2015 in Montreal, but lost the belt in his first defense, a one-sided eighth-round knockout loss to Golovkin four months later at Madison Square Garden in New York. Lemieux then won four fights in a row -- including an extremely violent and memorable third-round knockout of Curtis Stevens 13 months ago -- before losing the title fight to Saunders. Achour (26-4-3, 4 KOs), 31, of France, is unbeaten in his last 13 fights (12-0-1) dating to 2013, although he is taking a considerable step up in class. Achour has never been knocked out either, which gives the powerful Lemieux something to shoot for. "[Trainer] Marc [Ramsay] wanted to see David against a guy who will advance on him for 12 rounds," Estephan said at the news conference. "David does not think it's going to last that long, but Achour has never been on the floor in his career."